Punjabi actor and singer Gippy Grewal has shared the release date of his upcoming Punjabi movie ‘Ardaas 2’. Gippy Grewal has been extremely busy these last few years and we’ve seen numerous films such as ‘Carry on Jatta 2’, ‘Mar Gaye Oye Loko’ and ‘Manje Bistre’ been released. Most recently, he attended our Punjabi Film Awards 2019, where he took home five awards for ‘Carry on Jatta 2’, including ‘Best Actor’. There is no stopping the Punjabi star, and he has just announced the release date for ‘Ardaas 2’ on his Instagram account. As well as releasing ‘Manje Bistre 2’ this month, he will also be showcasing ‘Daaka’ and ‘Ardaas 2’. The sequal to ‘Ardaas’ will be hitting cinemas on 19th July. The original received a lot of love from the Punjabi film industry, so there is no surprise to why he is running a sequel. Even though he is gearing up for the release of ‘Manje Bistre 2’, he is wasting no time promoting his next flick. 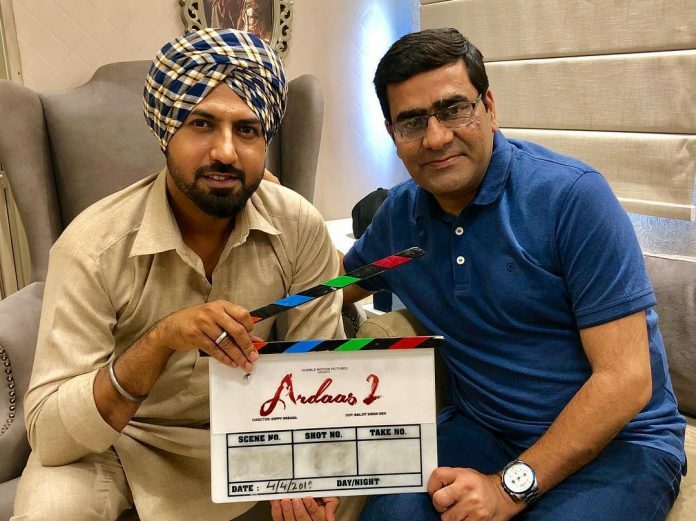 ‘Ardaas 2’ will feature the likes of Japji Khaira, Gurpreet Ghuggi, BN Sharma and more big stars from the Pollywood film industry.